SAUS welcomes Higher Education's NSFAS allocation - SABC News - Breaking news, special reports, world, business, sport coverage of all South African current events. Africa's news leader. 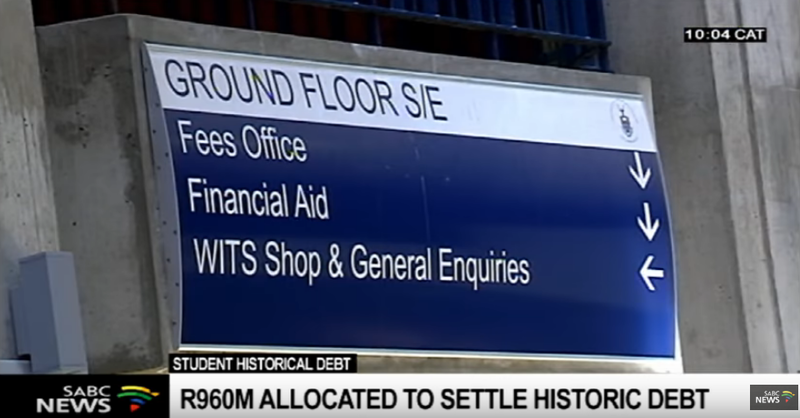 The Department says the money will be used to settle the historic debt owed to universities. The South African Union of Students (SAUS) has welcomed the announcement by the Department of Higher Education and training for allocating more than R900 million to the National Student Financial Aid Scheme. The Department says the money will be used to settle the historic debt owed to universities. SAUS says Minister Naledi Pandor has adhered to their pleas. “On the 6th of February we embarked on national shutdown were we submitted a list of demands to the minister. What was on top of those demands was the issue of accumulating student debt, historical debt. Our students were being denied access because they owe the universities. Others could not graduate because they owe the universities, others could not get e-service training or work integrated training because they owe the universities and the universities could not give them academic records. We might not have won everything we fighting for but there is progress,” says SAUS President Misheck Mugabe. Meanwhile, Sasco chairperson at Wits University Mpendulo Mfeka had a different reaction to the announcement. This entry was posted on 24 Mar 2019,10:43AM at 10:43 AM and is filed under mobile-leadstory, South Africa. You can follow any responses to this entry through the RSS 2.0 feed. Both comments and pings are currently closed.